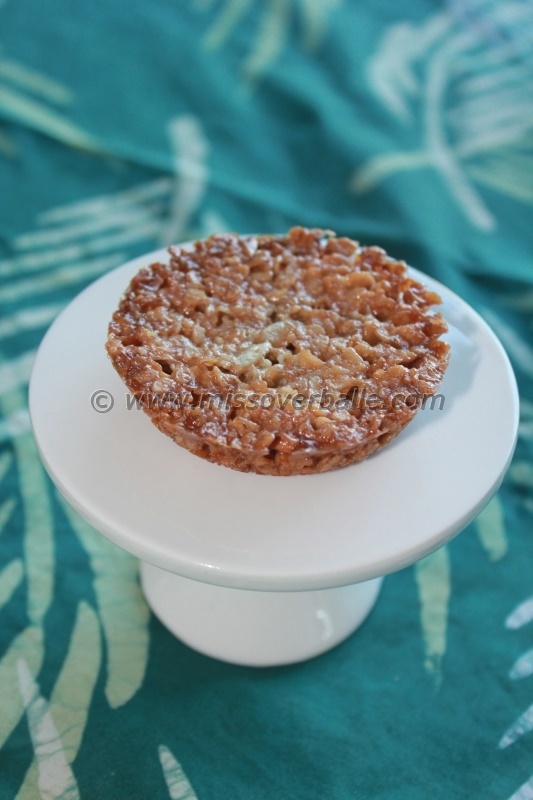 Flapjacks are a great homemade snack. The ingredients are basic, they keep for 2 weeks in an airtight container, they are easy to vary and they can be made both in portion sizes and in a sheet pan. 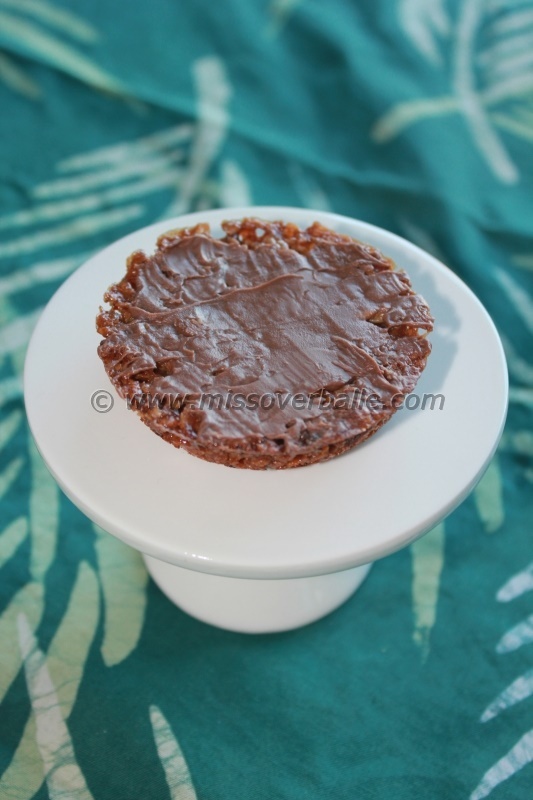 When I make them in a sheet pan, I use a 20×25 cm pan or tin (or something along those lines), put a piece of parchment paper in the bottom of the tin, so it is easy to remove the slab of flapjack for cutting. I let the flapjack slab cool (sometimes I top the hot slab with finely chopped chocolate, which melts from the heat, an can then be spread over the slab) and then cut them with a sharp knife. But lets talk portion size. 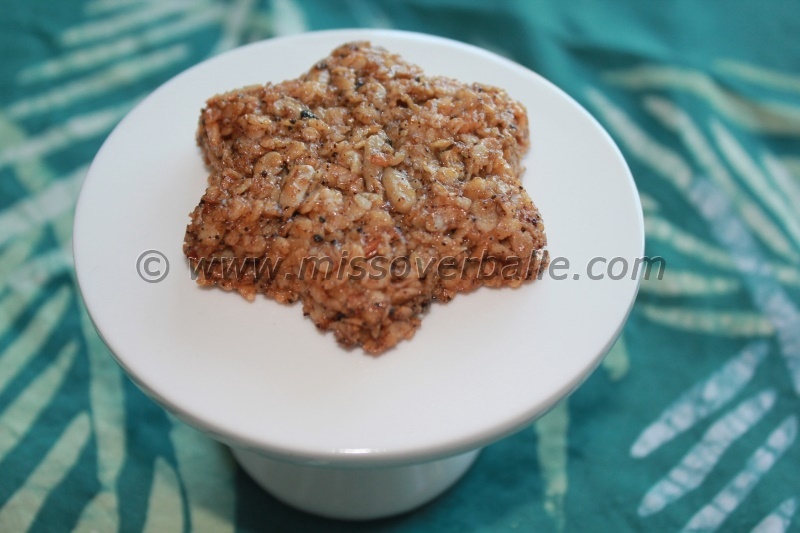 For the flapjacks pictured in this post I used a Le Creuset bun tray (but you can use a whoopie pie pan, a muffin top pan or a regular muffin pan) and a Wilton Snowflake Non-Stick Cookie Pan. Wilton makes a range of Non-Stick Cookie Pans, and they are great for these flapjacks – with one word of advice. Most of these pans have a moulded pattern in the bottom, such as snowflakes, these patterns will not show up on the flapjack, so pick a pan after the shape of the cavity, rather than the moulding. Both the Wilton pans and the Le Creuset bakeware have good non-stick coating, so there is no need to grease these pans. The cake mixture itself is also quite greasy from the butter, so I woudn’t expect there to be any problems with other types of pans. Melt the butter, sugar and syrup in a saucepan. While it is melting, mix the oats, flour and sunflower seeds. When the sugar is completely dissolved in the butter, add the dry ingredienta and mix well. The mixture will be crumbly. Press the mixture into a tin of your choice, and bake at 200 degrees Celsius (10 minutes for portion sizes, 20-25 minutes for a larger pan), until golden on the surface. Let flapjacks cool slightly, before spreading finely chopped chocolate on top, or let them cool without chocolate if you prefer them plain. The flapjacks can be varied with different add-ins. Try adding cinnamon or liquorice powder, dried fruits or nuts with the dry ingredients. The sunflower seeds can be replaced with pumpkin seeds as well.